Jason Mercier offered himself a second title this year after having won the High Roller poker tournament at $ 25,400 buy-in of the Seminole Hard Rock Poker Open. The guaranteed prize pool of $ 1 million of this event was easily exceeded, as 83 entries were registered bringing the prize pool to $ 2,075,000. This victory is very important for the native of Florida, as his parents and sister attended his coronation. For his second title of the year, Jason Mercier won $ 652,800 and 672 points for the title race Card Player Player of the Year. This year, Jason Mercier played six final tables on which he won two titles  the $ 5,000 Six Max of the World Series of Poker and the $ 25,400 High Roller Seminole Hard Rock Poker Open - and finished as runner-up in the $ 10,000 PLO WSOP. Since the beginning of the year, he won $ 2,022,006 and 4,192 points. 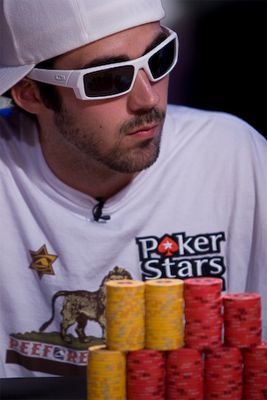 At 28, Jason Mercier won more than $ 15.7 million of gain career. Jason Mercier won the High Roller Seminole Hard Rock Poker Open after a heads-up with Ian O'Hara who was forced to settle himself with $ 391,700 for his runner-up place. Some stars of poker reached the final table, but they were eliminated prematurely: David Peters (9th, $ 57,500), Phil Laak (8th, $ 74,400) and David Sands (6th, $ 116,600). Among the other finalists, we also find Ashwin Sarin (7th, $ 93,400), Barry Hutter (5th, $ 141,900), Ankush Mandavia (4th, $ 186,200) and Sean Winter (3rd, $ 245,500).